Annisa is using Smore newsletters to spread the word online. Amira Haas, controversial, left-wing, courageous columnist for Haaretz and an acclaimed writer best known for her book Drinking the Sea at Gaza. 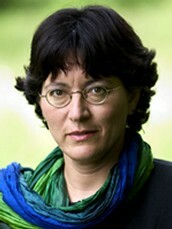 Ms. Haas whose coverage of Palestine caused a major stir when she claimed that “throwing stones is the hereditary right and duty of someone under a foreign power” in a column called “The Internal Syntax of the Occupation.” Haas has covered the daily experiences of Palestinian life whilst living in Gaza and currently lives in the West Bank city of Ramallah. She has won numerous awards for her courage and honesty such as World Press Freedom Hero Award from the International Press Institute, Golden Dove Of Peace Prize, Unesco World Press Freedom Prize, Lifetime Achievement Award from the International Women’s Media Foundation and Reporters Without Borders Prize For Press Freedom for her independent and outspoken reporting from the Gaza Strip for Haaretz during Operation Cast Lead. For further enquiries contact Annisa Essack on (031) 207 4223 or (031) 836 1543 or e-mail: info@samnet.co.za.